Pune to Aurangabad cab taxi car rental hire service at cheapest rates & lowest price. Book a Taxi from our online Pune to Aurangabad car rental booking portal and get best deal for one way or round trip with Ontime Cabs. Our rent a car service will conveniently pick you up from any part of city, Hotels, Pune Airport or your home to the destination you are planning to go from Pune. We assured you to give you best car rental solution for your travelling need at economical taxi fare. Take advantage of Pune car rental services for reach comfortable to Aurangabad, you may also avail cab services from Mumbai to Aurangabad. Approx. distance between Pune and Aurangabad is 250 Kms. Journey time would be approximately 5 hrs. You can get more information like travel directions and road map from our Pune to Aurangabad distance page. Planning to go to Aurangabad from Pune Airport? Ontime Cabs provides taxi at most economical fare. If you are landing at Pune Airport from any part of the country, or city for that matter, book Pune Aurangabad cabs for a hassle-free journey. Ontime Cabs (Taxi and Car Rental) believe that your visit to the India must be a joyful and price effective one. 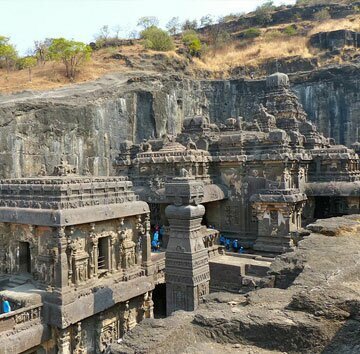 Aurangabad is an important historical city in the state of Maharashtra, It sees a lot of international tourist traffic due to world heritage sites like Ajanta & Ellora caves. The city is heading towards rapid industrial growth but retains its past glory and charms, heritage and traditions. There are many tourist attractions in Aurangabad like Biwi ka Maqbara, Pavan Chakki, Daulatabad Fort, Grishneshwar Temple, Ajanta Ellora caves, Chhatrapati Shivaji Museum. 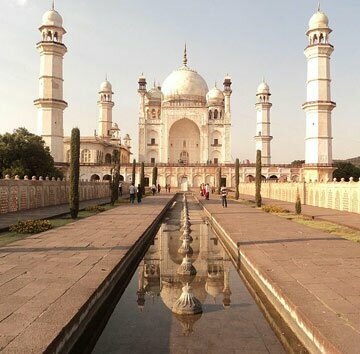 For more info log in places to visit in Aurangabad page. A regular visit to our site would inform you about the new schemes and discount offers that we offer for our valued customers. This will help you to save time and money. It would make the task of planning a trip, booking a cab and travelling a hassle free journey. Besides, the travel by cabs from Pune to Aurangabad will help you to experience the beauty of the place in a much better way.